Tickets available at the box office for $31.00 cash or $31.93 card. Doors open at 5:30 PM! Originating from North Yorkshire, England, ASKING ALEXANDRIA (Website | Facebook) has been rocking since 2008 and although many members have left, came back and switched around positions, ASKING ALEXANDRIA has continued to keep their strong metalcore sound. 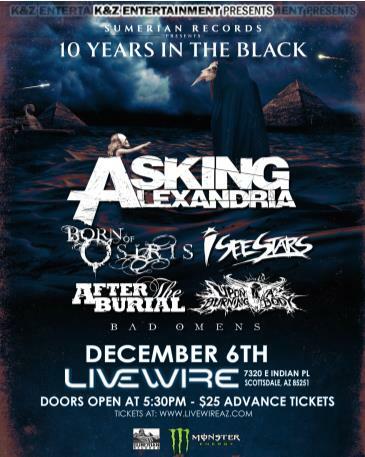 ASKING ALEXANDRIA’s first big hit was Stand up & Scream in 2009. The album found a lot of success and even charted on the Billboard Top 200. Their next big release was the album Reckless & Relentless in 2011. It sold 31,000 copies the first week it was released and reached the number nine spot on the Billboard Top 200. 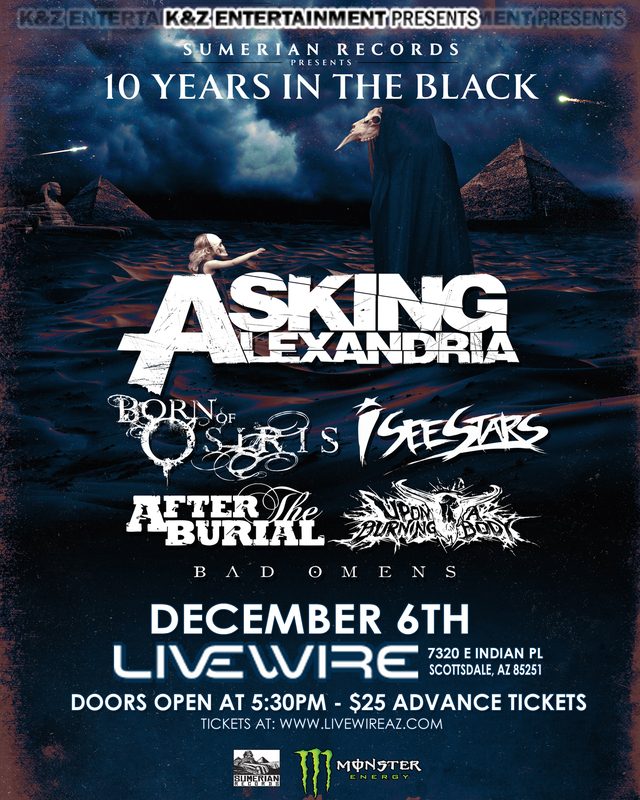 ASKING ALEXANDRIA then returned in 2013 with a re-imagined hard rock sound. The band went for a smoother metalcore vibe and created their third album; From Death to Destiny.